A new supply chain report suggests that the chokepoints on iPhone X manufacturing are loosening, and shipments from assemblers may meet demand before the holiday season concludes. Contradicting earlier supply chain reports, DigiTimes claims that chip vendors "were not aware" of any production delays or shipment cutbacks. The same reports claim that chip deliveries for the iPhone X have been on schedule, with the supply chain needs for components sated before the holiday season. Tuesday's report claims that shipments of the iPhone X will "grow substantially" after October —which it would have to, to have any availability in November, if previous reports are accurate. However, the report also claims that the iPhone X won't reach equilibrium of supply and demand until the first quarter of 2018. Should the new predicted schedule hold, that would mean that there is sufficient supply of the device at about the same time as the iPhone 7 Plus did. Many of the earlier reports of constrained component supply, including one from Monday, came from DigiTimes itself, so it is not clear where the new, or refined, information is coming from. DigiTimes has an unreliable track record in predicting Apple's future product plans, but does occasionally provide accurate information from Apple's supply chain. 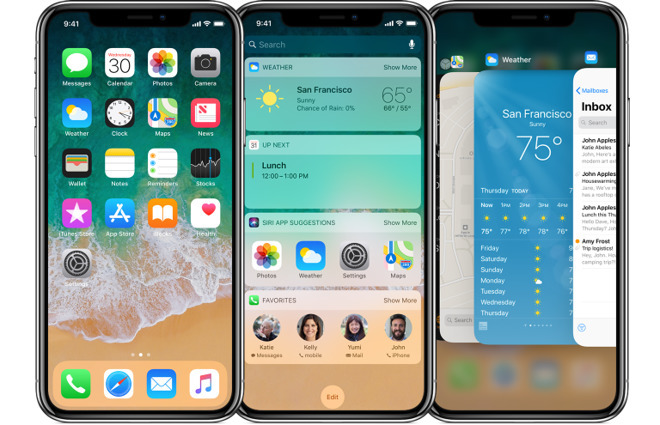 Apple's iPhone X debuted on Sept. 12 and has a 5.8-inch Super Retina OLED display, the A11 Bionic processor, a 3D-sensing TrueDepth camera at the core of the Face ID technology. The device ships Nov. 3, and starts at $999 without any promotions. Apple Maps transit information added for Birmingham, Ala.